A web address that potentially has links pointing to it, but has not been renewed and is available for purchase. The process of buying an abandoned domain and then using a 301 status code to automatically redirect to another website is a common link building strategy. Stands for A Citation Rank; the ranking of a site’s pages achieve on a 0-15 scale based on the number of root domains that have referred to that site. This term is associated with Majestic SEO. A performance-based marketing method which allows merchants to expand their market reach by rewarding independent agents (affiliates) for promoting a product, service, or site. Refers to pages on a site that have lost their timeliness and relevance. Unlike evergreen content, aging content can drag the entire site down. A SEO tool that has a database of fresh index of live links that is updated every 15 minutes. An Amazon.com-owned tool which allows users to measure website traffic and rank. A series of steps used by a computer or program to solve a problem. The major search engines use proprietary algorithms to measure rank and display web pages in their SERPs. Google claims its search algorithms rely on over 200 measurable factors, some of which are thought to be keywords and inbound links. The text that accompanies an image link on a page of HTML code. Because search engines don’t understand images like humans do, it’s important to use the alt text attribute to textually describe an image. The alt text is also displayed if the image cannot be loaded (e.g. If you have a picture of a 1991 black Ferrari, the alt text should be “1991 black Ferrari”). The text that appears over an image on a webpage when the mouse hovers over it. Refers to the visible and clickable text portion of a hyperlink. Anchor text should describe the site or content on the other side of the link. For example, a link with the anchor text “cat beds” linking to a page about cat beds has greater value than a link with the anchor text “cool stuff” linking to that same page about cat beds. A website that hosts an archive of online articles. Businesses submit articles about their brand, business, or field of expertise to these directories with the aim of getting a link and increasing traffic. Once a widely accepted link building activity, it has recently diminished in prominence. A business that writes content about their area of expertise and submitting that content to various article directory sites. The practice of using a computer program to take an existing article and “rewriting” it. This is done by replacing certain nouns, verbs, and descriptors with synonyms. Webmasters then repost the “new” article to various sites in order to build links. This type of content is considered highly dubious, and search engines target sites that use spun articles for potential penalties. A calculated metric used for ranking; comprised of its domain’s age, content, inbound link profile (quality and quantity), and search query. The practice of linking to a website that is considered an authority (or at least authoritative) in its field. A site that uses a program to automatically submit its web pages to the search engines, social media sites, and directories. The risk in using such automated programs is that your website may be listed in places that are not relevant or appropriate for your purposes. A link that is inbound from an external and independent site. The amount and quality of backlinks a site has will influence its search ranking. The process of examining a website’s backlink portfolio and making recommendations for link removal and/or disavowal. This refers to the appraisal of the number, quality, variety, and general health of the backlinks a website possesses. An SEO tactic where an authoritative company awards badges to exceptional and relevant websites & blogs within their business market niche in order to increase backlinks. The world’s second largest search engine behind Google, used primarily in China. an organization that determines if a business is reputable or not. A listing by the BBB is highly valuable and the link that goes with it is considered high-quality and authoritative. 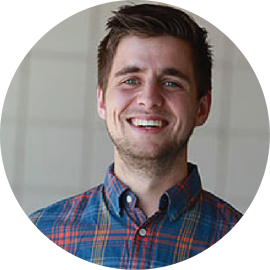 Weblogs dedicated solely to selling links and possesses no true valuable content; term coined by Zach Ball, founder of Page One Power. Refers to a set of SEO tactics that attempt to increase the rankings of target sites through manipulation such as cloaking, keyword stuffing and robot-driven link building. These practices are a frowned-upon form of SEO and search engines have tried to limit the practice by penalizing websites using (or abusing) this practice. Practitioners of White Hat SEO tend to see it as a shady practice, but such techniques often get results, albeit temporary ones. An unconventional search engine that uses particular search tags in specific categories. The resulting pages have been authenticated by human editors as spam-free sites. Short for “weblog,” is an online journal with ongoing posts. Blogs are an integral part of an overall strategy to create an online presence, have a stake in the online community, and attract people to your site. Great blog posts encourage links to your content and increase your perceived authority on the subject you are blogging about. A reader’s written response to the content on a blog post. Blog commenting can and does happen naturally, but because links can often be included along with the comment, it has also been severely abused by spammers. An online archive of links to blogs. A blogger submits their weblog to the directory to expand the blog’s link profile and readership. Most blog directories, however, are too general and therefore contribute little to a blog’s marketing strategy. The primary text on a site. Anchor text links in the body copy pass the highest link equity. Programs designed to crawl and copy web pages for later processing and indexing by search engines. They generally begin with a list of URLs to crawl, and while crawling, the bot identifies all the hyperlinks and adds those URLs to the list of sites to be crawled next. Also known as spiders and web crawlers. The rate at which website visitors leave without interacting with the page. This could be due to many factors including failure to load quickly enough or because the page isn’t what they were looking for. The degree to which consumers are acquainted with or knowledgeable of the qualities/image of a particular brand. Brand awareness is managed by utilizing social media, content marketing, and various other resources that increase public knowledge of a company’s presence. The natural or organic mention of a company’s brand online, often as a link. Business owners should monitor not only their brand mentions, but those of their competitors. A broken link is a link on a website that no longer takes the user to its designated target. Broken links are bad for user experience and having many broken links will make a website less trustworthy. The search engine’s copy of your website on its server. Every time the search engine crawls and indexes your site, it replaces the cached copy of your website. Canon; the official/genuine codified version of a text or document. Canonical aids in the search engine’s quest to credit the original sources of various documents. Occurs when search engines are unable to tell which site is the official one. The two URLs display the same web page, but search engines would consider them different. Webmasters hoping to avoid this can use a 301 permanent redirect or tag one of the URLs with the Canonical URL Tag, which informs search engines that one of the pages is a copy of the official page and should be treated as such. A non-hyperlinked mention of a business name and address on other web pages. While it is not an active link, it is still crawled and indexed by web spiders such as Googlebot. A black hat SEO strategy that makes a web page look different to a search engine than it does to a site visitor. A way to describe the particular location of coding indicated by the number on the left in the source code page. Many companies will publish directories of relevant sites and submitting your site to these directories is another link building practice. The act of exploring a competitor’s backlink profile for a wealth of information such as market reach, SEO strategy, and keywords. A site finding tactic where a SEO specialist combs through the backlinks of the competitor to identify potential opportunities and challenge. Term used to describe the available information on a website comprised of all forms of media such as text, links, images, .gifs, graphics, videos, etc. Obtaining content for a website. One of the most common forms is guest posting. A company that hires freelance writers who will create content which exploits search engines in order to rank high on the SERPs. Crucial information about an industry or market that should be covered but was somehow overlooked. If the gap is discovered, creating content to fill the gap can be a powerful way to build relevant links. The act of creating content for the purpose of generating interest, backlinks, response and other forms of engagement across the web to greatly increase the likelihood that a web page will have higher rankings in the search engine results. Refers to the location of a link on a page. Pages are broken into several segments such as the header, body, footer, and navigation bar. It is believed that links in the header and body area of a page are worth more than links in other parts of the page. Content that is used to advertise a company web site; such content is created and used across a broad network of sites, social media outlets, forums, etc. to increase sales and brand awareness. An SEO tactic where an authoritative company sponsors a contest hosted on their website for the purpose of getting links from blog owners in their niche. Used as a link building strategy by offering attractive prizes and hosting the content on your site. The intent is that interested parties will link to your contest. Posts that tackle a polarizing issue in your industry or market. The idea is to draw users who are already interested in the topic to your site where they can read and hopefully link to your polemical article. Represents the number of site visitors that respond with a sign up, purchase, or call to action. Cost Per Acquisition; business-related expense of acquiring a new customer. Cost Per Click; refers to one of the ways to make money by accepting ads on your website. With CPC, an advertiser pays a fee when someone clicks their link on your site and you get a portion of that fee. Refers to how often a website is crawled. A site with more authority and unique content will be crawled more frequently than a site with low link authority. CSS: Cascading Style Sheets; codes used to control the style or appearance of a website. Click Through Rate; the number of times a link for an advertisement has been clicked. Indicative of how effective the ad is. A page that shows up when technical issues occur on your site. Instead of the standard “404 - page not found” message being displayed, a custom error page is shown created by the web developer. Along with the custom error message, a search box, site map, and other elements can be included which can help save the site from the error and by keeping visitors from leaving. A link building strategy that consists of finding broken links on a site and discovering the content that once existed and rewriting, reviving, and offering replacement content to the site owner for a link. A link that does not work. A dead link differs from that of a broken link because a broken link may still be working, just not for the intended purpose. A link building strategy that includes posting facts that contradict site-relevant misinformation on the web with the express goal of debunking a myth. Debunking myths about a controversial topic, an industry, or a product adds to the authority of your site and increases link juice. The relation between the number of deep links to home page links on your site. p> Links that point not to a site’s homepage, but to a page deeper in the website. These links are often very natural because they point to a page that is directly relevant to the page content the link is embedded in. For example, www.samplesite.com/page/information. A site that has been removed from a search index and not included in the SERPs anymore. Deindexing is different than a site penalty, which means that the site has only lost rankings. Websites that contain lists of products, services, or resources separated into categories and/or subcategories. Submissions can be human edited, or automatically published. A link that allows link equity to flow to the URL being linked to. Also known as DA, it a metric developed by SEOMoz that predicts how a website will perform is search engine rankings. DA is scored on a logarithmic scale ranging from zero to one hundred points. The higher the score, the greater the authority. Web pages created for spamming the index of a search engine by inserting results for particular phrases with the purpose of sending visitors to a different page. The content (usually text) on one site that identically matches the content on another site. Having duplicate content can adversely impact the amount of trust the site receives from search engines. Sites with canonical issues can also be affected by duplicate content. A site that is frequently changed and will sometimes change based on the unique user’s interaction with it. Content generated for the purpose of educating an audience. This content can be used to gain links from authoritative sites or educational sites. A backlink from a site that has an .edu domain name. The .edu domain, much like the .gov domain, is tightly controlled so these backlinks are authoritative and pass significant link equity. A tactic that involves posting flattering content about an individual in an effort to get them to link to your site or content. HTML code that allows users to obtain the content for inclusion on their own site. e.g. YouTube includes embed code for the videos on its site. A type of hyperlink that has been embedded by the author into the existing text of an article or website. Information and data that is timeless and ever-useful. Evergreen content is not tied to current events or trends, so there is less chance of an audience losing interest in the specific content. Evergreen content should be added to your site frequently to promote natural link building. In a search query, an exact match means that the searched keywords must exactly match the keywords on a web page to be included in the search results. A link that links out from your site to another. How easy or difficult it is to find the site with a search. Denotes the first time a website or page was crawled by a web bot. A type of multimedia technology that allows Web developers to incorporated interactive content and animations onto their websites. Flash animations will only look the same on different browsers if they are equipped with the necessary plug-ins. A short animation that plays when users arrive on a website’s home page. Flash intros are often perceived negatively by site visitors and they aren’t advantageous for SEO purposes because search engines cannot parse the information within a Flash presentation. The section of web content located at the bottom (or foot) of the page. Most often contains technical information such as copyright information for the website, the name of the website’s author and business, address, and the date of the most recent update (if applicable). The footer is also treated as its own section of the web page, separate from the header, content and sidebars. Online discussion sites where people can hold conversations in the form of posted messages. Depending on the forum’s settings, users can be anonymous or may have to register and log-in to post messages. The act of writing and publishing comments on a web forum dedicated to a specific group or topic. As a link building strategy, however, use caution because forum users can often spot a user who is on the forum solely for links and flag that user as a spammer. A type of redirect that cloaks the URL from being displayed, instead displaying something more appeasing to the user. This is considered a sneaky redirect, and is associated with black hat SEO. Descriptor used by Google to label sites that are very frequently updated. 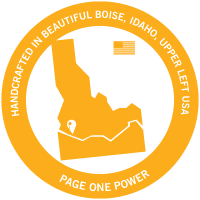 Acronym of For The Betterment Of Mankind; part of a foundational link building philosophy created by Jon Ball, Page One Power co-owner. It implies that a successful link building strategy must develop links and content for the betterment of mankind, rather than content that is created for search engines or solely promotional in nature. A link building tool that shows fresh web mentions of websites or keywords. A formula employed by the Google search engine to determine which pages are most relevant to a user’s search query. A tool offered by the search engine that allows site owners to view all of the available statistics regarding the site’s traffic, page rank, unique site views, and other demographic data. Refers to the early days of Google where the Data Centers were only updated once a month, creating a dramatic change in results overnight. The Google Dance died in 2003 with update Fritz, after which Google began updating their indexes incrementally, every day. Content that is generated to attract interest, links, etc. from green-friendly and environmentally conscious web users. Refers to link building tactics that are neither perfectly white nor obviously black hat. The term grey is similar to a “grey area” where exceptions to the rule reside. For example, if you find an excellent blog for a guest post, you offer good content with an embedded link but the webmaster wants $25. An article on a website or blog from a writer who does not regularly contribute to the site. Can be a great source for relevant backlinks and can increase traffic to your site. A resource for a given industry. When a guide is posted on a site, it increases the site’s content and authority, adds to the site’s link juice (through relevant backlinks), and serves as a strong way to generate long-term interest in a site. For example: The complete guide to tying wooly bugger flies for fly fishing. Acronym for Help a Reporter Out, is a website and link building strategy that helps get quality links in articles written by reporters who need authoritative sources. An element of CSS that describes the subject of the section to follow. Heading elements range from H1 to H6 with H1 being the most important. There should be minimal H1 elements on each page. The first page that visitors will see when they visit your website. It is important that the home page is focused and provides a clear picture of the services the site offers and the brand. A relevant, instructional piece of content posted to a website. Serves as a great tool for a targeted link building strategy. If the content in that how-to is adequate, it can potentially result in links to your site. The raw programing code that can be viewed by right clicking on a page and clicking “View Source” or by holding down Ctrl + U. Content that already has link code embedded in it. When the provided content is already HTML-ready, a site owner is more likely to keep the link in place when using the content. An algorithm change for Google launched in September 2013. This update was designed to interpret search queries such as questions and sentences more as a human would, rather than just calling up websites with associated keywords. The effect is that Google now brings up more relevant deep link pages rather than a home page. Text on a website that contains HTML code. When that text is clicked, it directs the user to the linked target or site on the web. A graphic, photo, or piece of visual content on the web. Offering the use images, such as high quality photos, in exchange for a link is a common link building tactic. A link to your site from another site. Refers to “earning” leads to your site with good content, social shares, and other strategies. With inbound marketing, potential conversions come to you; not the other way around. A term used by search engines to describe the process of finding a site and later the manner in which it processes information. Those whose special knowledge, experience, or skill causes them to be considered authorities in a particular field. Short for information graphic, is a graphic visualization of data or other information. Infographics with embedded links can be used as a link building strategy. Web content that responds to a user’s input such as playing a song, game, or video on a site. Compelling interactive content can earn quality backlinks. Links between web pages on an internal site or between a series of related websites are interlinked. Interlinking can also be used as a link building strategy. The primary procedure for relaying and routing data across networks. It has been used since its development in the 1970s, and it essentially makes the internet possible. A form of Internet advertising that involves force-loading a full page advertisement when a user navigates between pages on a domain. Usually, it will provide a link allowing the user to skip past it. A numeric representation of a computer’s “location” when it is connected to the internet. IP addresses are part of the overall way computers network and interact with one another. The number of backlinks your site has from unique IP addresses. To a search engine, a wide diversity of IP addresses shows that your site is valuable to a large number of people. Multiple sites linking from the same IP may indicate to search engines that some form of manipulation is at work because site owners can host dozens of site from the same IP address and repeatedly link to the same site. Type of redirect that is versatile but is often used for black hat tactics such as cloaking. Commonly referred to as link juice, it’s the quality and authority of the links in your backlink portfolio. Links from authoritative and relevant websites pass more value to your website, potentially increasing your site’s position in search engine rankings. For example, a link from Cat Fancy’s website with the anchor text “kitten beds” pointing to a page about kitten beds on your website carries a significant amount of link juice. A similar link from a low-traffic blog page or a spam site carries little to no link juice. A word or phrase that is used to help search engines index content on webpages. Keywords allow Google to better categorize and deliver webpages appropriately when people conduct searches. The number of times a keyword appears on a given webpage. Having too many keywords can prompt a search engine penalty and too few can cause ranking problems. A tool on seobook.com that calculates keyword densities for a given page. The amount of authority or relevancy assigned to a domain based on the keywords in that website’s tags, URL, and content. A keyword’s popularity refers to how many times that keyword was searched for during a set amount of time. This is similar to “trending” terms on social media sites such as Twitter. The prominence of a keyword refers to its location, the amount of times it appears, and its overall use on a given website or page. The investigation of a search term’s popularity used to determine the best search terms and anchor text to increase a given website’s search engine visibility. In the search marketing world, Kiss of Death refers to the penalty or de-indexation that comes along with anchor text abuse. When a site uses the same anchor text too many times in a given period, it can lead to search engine penalties or downright de-indexation. The destination of a given hyperlink. That hyperlink might be embedded in text, an image, an advertisement, a flash game or a video. The last time a website or page was crawled by a search engine bot. This information used to be available in Google’s Webmaster Tools, but they have since removed it. To check your site’s last crawl date you can use the “cache” search operator. For example, entering the search cache:example.com will display the last cached copy of the site along with its last crawled date. A vote of confidence for a website. Something on a site that would draw an audience to your website, and compel them to link to that content. Content that’s considered so great that it will attract links based on its general awesomeness. A system of tools, tactics, marketing strategies, and sometimes schemes created with the purpose of gaining links back to your website. Gaining links can increase the position of a website in search engine rankings, and that leads to increased traffic and revenue. A formal request to Google to disregard certain harmful links accompanied by evidence of attempts to have those link removed by the responsible webmasters. The amount of value a link has to the page it links to. Link equity can be measured by PageRank (Google’s system), the site’s domain authority (offered by Moz) and the relevance of the two pages. A site that gives links indiscriminately, regardless of who, what, or where the link goes for the sole purpose of helping those site gain position in search engine rankings. The Google Panda update shut down most link farms. Similar to reciprocal linking, it is the practice of adding links to your site from other sites as a means of showing appreciation for its content or to increase rapport between web communities. The location of your website as determined by the sites that link to you and the sites that you link to. Just as links to and from authoritative and relevant sites can boost your rankings, links to and from bad sites can bring you down. Examples of bad sites would be sites infected with malware, spam sites, sites with poor content or too many ads, and sites involved in link schemes. If you have links from these kinds of websites, you may likely be in a bad link neighborhood, and this will ultimately impact your ranking. Any scheme that attempts to artificially raise link authority. Link schemes should be avoided in order to avoid penalties from Google. The potential worth of a given link for its ability to pass link juice and authority. For instance, an .edu site has a greater authority than an article directory. The speed at which a site gains new links. Generally, a steady and reasonable increase of links enhances a website’s potential to rank in the SERPs. Acquiring a large number of links quickly is a red flag for search engines and usually indicates some type of automation at work. Refers to the amount of backlinks it might attract. Useful, actionable content has high linkability. The domains that have given links to your site. The greater the variety the better. Blogging from an event while present at the event. Live blogging great link building potential, provides a source of content for sites that were unable to cover the event and increases the perception of your site. A geotargeted optimization link building strategy that focuses on name, address, and phone number citations to build an association between a website/business and a certain location. Phrases that is usually specific to a niche or industry. These are easier to rank for than more general, high traffic keywords. Optimizing for many different long tails can help rank a website for important individual keywords without the danger of over-optimization. A program that allows a user to send individual e-mails in bulk with customized fields imported from a spreadsheet. An SEO company that offers a variety of tools based around its own web crawler which has spent the better part of a decade indexing web links. The process of submitting URLs to search engines manually rather than using software that automates the process. Manual submission tends to be a more effective and inexpensive method of ensuring that your pages are indexed. A representation of the sales process that accurately describes a consumer’s journey from awareness of the product to the moment of purchase, illustrated in a funnel-shaped diagram. The role of SEO is at the top of the funnel, targeting the widest audience to increase visibility in order to expand awareness. Taking two or more pre-existing pieces of content and combining them in a novel way. Mashups are similar to remixes, except they usually combine disparate elements. A string of words in HTML code that the search engines use to describe your web page when displayed in the SERP. If no meta description is provided, search engines will automatically pick text from the page to display on the results page. Previously, SEO companies would include keywords about the site in an HTML tag on the site. However, this tool was overused and is now no longer effective in searches or web rankings. An HTML redirect that passes about 90% of link value. It is inferior to the 301, but valuable. This is considered a “sneaky” redirect and is therefore associated with some black hat techniques. These are special HTML tags which define metadata about a particular HTML document. They can specify things such as page descriptions, keywords, author’s name, and date last modified. This information is used by web browsers and search engines, but is not displayed on the web page itself. A type of blogging community comprised of parents who share stories about their children, religion, crafts, and/or personal finance. Due to reciprocal and sponsored linking, these websites often have high authority which is then exploited for profit when website owners sell links. A link whose anchor text that is the same as the website’s URL. 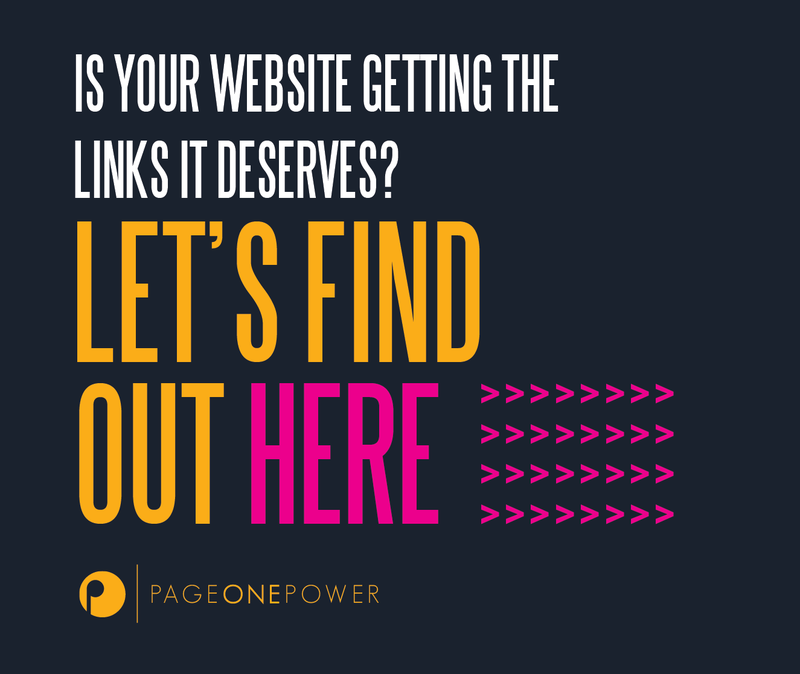 For example: pageonepower.com, instead of The World’s Finest Link Building Firm. Acronym for Name, Address, Phone number, used to solidify local SEO for a website. A static list of links that lead to other locations on the site. The navigation bar serves as the primary means for easily navigating a website. The position which a company or business occupies within a specialized market. A website that contains profiles or hierarchical list of products or resources related to a specialized market. A command found within the website’s code that notifies robots not to index a specific link or page. The page or link will be reviewed by search engines but it won’t be indexed. Links that have the HTML rel attribute that tells a spider or web bot to not follow that specific link. Essentially, this means that the site or document it links to is not (fully) endorsed. A part of SEO that involves optimizing the source code of a website. More particularly: HTML, tags, URL’s, and the robots.txt. A SEO tool that compares competitors’ links, explores backlinks, and analyzes anchor texts. A link that your site attracts naturally with quality content. It’s the objective of link bait or any other quality-driven web initiative. Returned search results that appear because of their relevancy to the search query and/or keywords. In contrast to paid search results, these results have not been purchased and show up based on their own merit. Alink from one website leading to another website. Relevant outbound links can help build credibility and boost rankings. A link analysis algorithm named after Larry Page and used by Google. It is a measure of the importance of a web page based on the incoming links from other web pages. When one website offers a link to another website for money. Paid links are a violation of Google’s quality guidelines, and therefore buying or selling links is a high-risk proposition. Penalties vary, but can include a website being dropped significantly in the search results or being deindexed entirely. Despite this, the practice of buying and selling links remains fairly widespread. A paid strategy is one that includes payment for services as part of a link building plan. A Google algorithm update that changed the way web pages are ranked and penalized sites with poor quality content. A virtual reprimand against site owners for engaging in practices that search engine companies find unacceptable such as black hat SEO. A penalty typically consists of a site losing rankings in the SERP. Many penalties are timed (30, 60, or 90 days), while some are permanent, remaining in place until the offending issue is resolved. An algorithm shift created by Google that went into effect in April of 2012. This updated targeted spammy and noticeably manipulating backlinking tactics such as unnatural link practices and keyword stuffing. The creation and implementation of an online individual (similar to an avatar) who has an extensive online presence that engages in blogging, social media, etc., that both is a representation of a company’s target consumer and is used as a means of link building for a company products. Part of the web cultural phenomenon called “hacktivism” (internet activism) - petitioning is a means of getting signatures in protest of or support for an issue or cause. For a link building strategy, it could potentially increase link juice, brand awareness, and, if it is related to your industry, could also generate lots of traffic from your targeted audience. Acronym for Page Load Speed, is the speed at which a browser can load a webpage. This is an important factor in determining the bounce rate. Acronym for Pay-Per-Click advertising, is an internet advertising model used to direct traffic to websites. The publisher of the advertisement (the search engine or website) is paid by the advertiser each time the ad is clicked. Acronym for Pay-Per-Post, designates websites that will pay people who create content in exchange for using it on their site. A write-up on a company’s newsworthy events. Submitting press releases to media companies increases your company’s brand awareness, links, and other benefits. Many media companies accept free press releases, but it is up to the discretion of the editorial staff to publish it or not. Paid media companies will guarantee that the press release will be sent out provided it does contain newsworthy content. However, the effectiveness of this as a link building tactic has diminished greatly. Information hosted on a website that can be easily printed out. If the information is useful, it may be shared, resulting in increased brand awareness, authority, and links. Usually found on forums or message boards, profile links are very low value and anyone who wishes to register can often get a link from their newly created profile. As a link building strategy, it has been abused by spammers and is therefore not recommended. Search string that a user enters into a search engine. A quiz on a site can be used to increase traffic, potentially links, offer interactive content, test your web visitors with company or product-related knowledge (which will actually educate them about your company/product), and add to the overall ranking of your site. The collateral damage from linking out from your site. Theoretically, search engines divide the amount of authority present on a page between all of the links on a page. If this theory is true, too many links on a page can drain the rank from that page. Occurs when one site offers to link to another site if they get a link in return. Technically, reciprocal links are a violation of Google’s quality guidelines which means websites can be penalized if caught engaging in this practice. However, reciprocal linking can happen very naturally and it can be often hard to avoid. Because of this, it remains a fairly common practice among webmasters. A formal written request accompanied by an extensive link disavowal request that’s submitted to Google’s web spam team through Webmaster Tools in order to have a manual ranking penalty removed from a website. An HTML command that can be used to tell robots to index a specific link or page, even if the respective page or section of the website has a blanket noindex command. An HTML command that tells robots not to index either a page (if it’s in the header) or an individual link. A critical part of both SEO and link building. Gaining links on sites & pages that are relevant to your website is often a goal with any link building project as non-relevant pages that link to you have questionable effect on search engine placement. In relation to SEO, relevancy also refers to having all on page elements (titles, text, URL’s) consolidated to be related to a particular keyword. A site that collects and aggregates websites and content related to a specific online niche and publishes this information into a list of web pages. Many specialized markets have websites that host resource pages and it can be worthwhile to pursue them for relevant links. Acronym for Relevant Niche Directory, is a link building strategy to acquire links in directories that are appropriate for and relevant to the industry. Also known as the Robots Exclusion Standard, this is a file that allows or restricts access to a website by search engine robots that crawl the web. Acronym for Return on Investment, this is the concrete financial benefit that can be shown as a direct result of an investment. A root domain is the base domain of a site. For example, www.ebay.com, not www.ebay.com/felines/kittens/kittenbeds. Short for for RDF Site Summary, RSS feeds are subscriptions to the posts the user selects for aggregation into a personalized stream of content. An SEO tactic where a company offers a college scholarship for the purpose of getting universities to link to their domain. Content gleaned from the internet via a computer program and posted on another site. Sites that are designed to scrape or steal content from other sites. Usually these sites are obviously spammy and filled with advertisements that redirect users to other sites. An SEO tool that crawls and displays all pages of a domain for the user, along with the respective status code. This is especially useful for 404 link building. Types of modifiers used in a web search to affect the results of the search. For example: inurl, intitle, quotation marks, and intext modifiers. Acronym for Search Engine Marketing, is an advertising campaign that involves promoting websites and their visibility through advertisements and optimization. Google’s move to improve search accuracy by incorporating more intuitive artificial intelligence and focusing more on searcher intent with the contextual meaning of terms as they appear in the searchable data space. A SEO tool that tracks website traffic, keywords, and top competitors. Acronym for Search Engine Optimization, is the practice of using technical tools and strategies to maximize a website’s potential for ranking highly in the page results from a web search. Tactically placing as many links as possible on topically-related sites throughout the web in order to increase a site’s SERP. A SEO tool that checks a site’s backlinks and link popularity. Acronym for Search Engine Results Pages, are the links to websites that are populated on screen after a term is searched for in a web browser. The most relevant websites are listed first, with the first three sites traditionally being the “best” websites. Acronym for Search Engine Strategies, is a series of trade shows/expos held for the purpose of educating and collaborating for search engine and social media marketing related companies. These shows are held in various locations throughout the U.S. and internationally. A section on the side of the webpage that shows up on the entire domain. A link in the sidebar translates to one link for each page on the domain, which makes them a bit spammy. However, it can be an effective way to get link juice. A sitewide link on a page remains in the same location on the website, no matter what page of the site you are on. These are typically in a static header or footer of a website. A preliminary analysis of a website to determine the authority and quality of a website based on the overall first impression, user engagement, and link neighborhood. A social payment company is one that pays out for a social share with a given audience. A person who agrees to share a link via Twitter, for instance, is paid for doing so. A way to determine how well a company’s posts, comments, or social shares are doing by evaluating the response these shares are getting. Many expert SEO’s agree that social signals bear weight with the search engines. The language that determines what type of link it is, such as an “alt text” flag. Unsolicited commercial-based content generated for monetary purposes. The process of intentionally manipulating search engines for higher page rankings with the use of various forms of spam-quality hyperlinks. A search engine robot (bot) that crawls a site for information to determine site-relevance to a queried term. A page that gives the viewer a fun visual experience upon arriving at the site. Using these have pros and cons, since some users find them aggravating. A strategy that gives companies the opportunity to sponsor a club, charity event, contest, or other higher-profile activity with financial or other resources. In terms of online marketing, sponsoring increases brand awareness and linking options. A plain HTML page with no dynamic content. A tactic of relinquishing articles, images, videos, and other content to web directories, article databases, or other sites to increase a link count. A page that is not the top level domain. Pages following the forward slash (/) of a site’s root domain are the site’s sub pages. A series of questions designed to get a consensus opinion of a specific subject. Surveys, if interesting enough, will provide plenty of opportunities for linking after the questions are asked and again once the results are posted. The data gleaned from the survey, if it is industry-relevant, can also be used by the site owner to tailor their products to consumer desires. A positive affirmation on a company or its products. Writing and submitting testimonials to sites that publish these increases links, brand awareness, etc. A link pyramid where very low quality and low trust sites link to slightly higher quality and more trustworthy sites that then link to better sites in turn. This is repeated in layers until a pool of fairly high value, high trust sites are created with acceptable backlink portfolios. These can be used to link to high value sites without compromising that website's backlink portfolio. This technique is considered black hat SEO. Subject matter that is posted at significant times such as anniversaries, holidays, elections, or seasonally. Images, graphics, stories, and other timely pieces will get greater traction if they’re tied in to a culturally significant event. Refers to the name of a page as found in the HTML. The title of a page is what displays in the SERPs and should be optimized for branding, keywords, and click rate. Acronym for Top Level Domain, the highest point of a given domain in the hierarchical Domain Name System. A written piece that focus on a specific trade or industry. Could also be used for trading content with another site in order to increase links, content, and traffic from the trade site’s regular visitors. The numbers of visitors to your site. Content that is so polarizing or controversial that it will probably encourage many angry commenting, links, and other online conversation to add to your site’s link juice. An instructional piece of content, usually a video or a class, posted on your site which can result in massive links to the site. Part social networking site, part microblogging site, Twitter is an incredibly effective social media tool used by millions of members of the web community and is always part of a larger social media marketing strategy. Acronym for User-Generated Content, UGC is a variety of media/content available for use to the public using modern technologies such as forums, blogs, or Tumblrs. Utilizing it allows sites to have a broader scope of a given topic. A link that has been intentionally placed by a webmaster on a site for the sole purpose of deceiving the search engines. An unnatural link warning is a notice to a webmaster from a search engine such as Google. These warnings typically say that a site has unnatural links that can negatively impact a site’s rankings. Uniform Resource Locator (aka web address). Refers to the organization of a URL. Sites that have the option of publishing a user review of a product. Also used as a link building strategy, these reviews could include an outbound link. A strategy of submitting original videos for posting on video aggregate sites for the benefit of brand awareness and backlinks. Sites that allow a user to interact with an online community by uploading content and commenting on other users’ content. A seminar or class held online. Users can watch via live video feed or listen in over the phone when invited to from the webinar hosts. A questionable SEO technique that involves linking a large number of websites to each other in a circular manner, generally limited to one relevant niche. This entire wheel then points to a central site to unnaturally boost that website’s ranking. Refers to the organizational structure of a domain. This structure should create an information hierarchy from the home page to deep links ranging from general to specific and organizing various topics into groups with similar topics to make it easier to navigate. Means that your search engine optimization practices are in line with published search engine best practices and webmaster guidelines. Typically, white hat SEO involves optimizing a website with useful and fresh content and natural link building. There are a number of tactics used by SEO firms to get higher site rankings by search engines, and white hat SEO is considered a strategic and organic way to affect the rankings, whereas black hat SEO (considered spam) refers more to automated techniques. A paper written with a clear intention of demonstrating a particular point. These are often mistaken for scientific or scholarly papers and this misconception is used to the advantage of the webmaster to increase awareness about the topic discussed. A site that has a directory for widgets. Submitting a widget to an appropriate directory is a great way to build links to your site hosting the widget. A site that allows all users to contribute information and constantly seeks new information or contributions to make existing information more accurate, complete, and authoritative. However, a wiki site is only as the contributors on it and the people who moderate the content for accuracy.